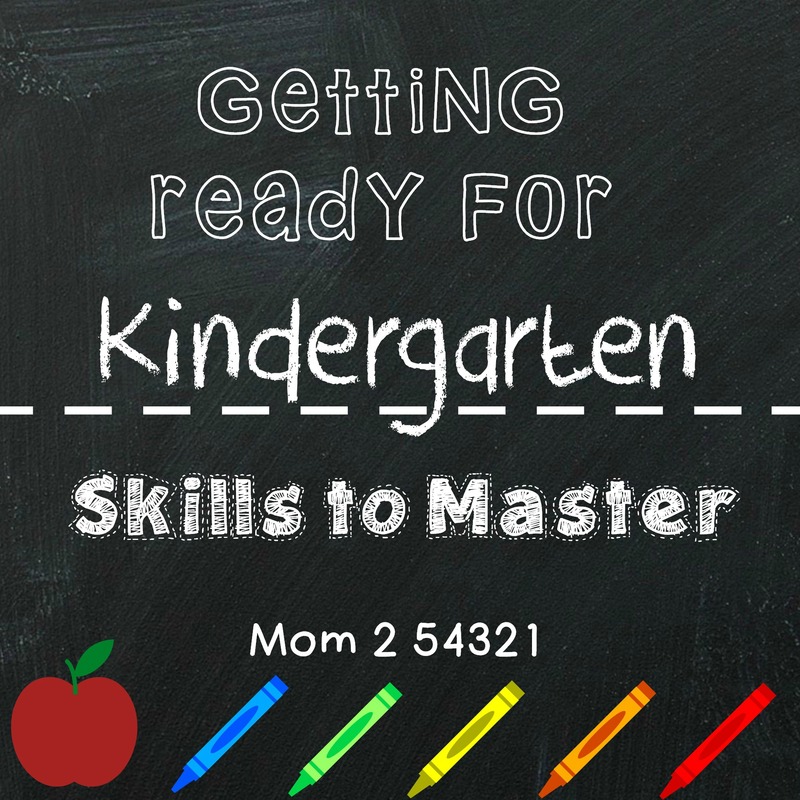 In the midst of the two really long post Getting Ready for Kindergarten-An Overview and Getting Ready for Kindergarten-Professionals weigh in on what a Kindergartner should know. I thought it would be helpful to have a simple list of skills a child needs. Simple here is italicized because if you know me-nothing I do can be quite simple, so rather I present you with a detailed list of skills, organized by content area, collected from the Arizona State Standards. Don’t be alarmed as you read through you will began to notice your child is probably already doing many of these things, and keep in mind, I did not list all of the items this is just a snap shot of the items listed in the Arizona State Standards. Associates emotions with words, facial expressions and body language. Describes the emotions of a character in a book. Manages transitions, daily routines and unexpected events. Moves to the next activity independently. Separates from familiar adult with minimal distress. Continues to paint after acknowledging a family member’s arrival, or cries briefly or doesn’t cry when dropped off at school or child care provider’s home. Demonstrates positive ways to resolve conflict. Asks for a turn when they want a toy another child is playing with. Respects the rights and property of others. Walks around a block structure built by another child. express ideas, feelings, and needs. With reminder, child uses inside voice when going into the classroom. jobs, plants, animals and their habitats, and foods; words that describe: adjectives, verbs, and adverbs. Says, “Let me listen to your heart with a stethoscope.” while in dramatic play. Recognizes own written name and the written names of friends and family. Reads job chart naming his classmates. Uses letter-sound knowledge identifying the sounds of a few letters and producing the correct sounds for as many as 10 letters, with modeling and support. While writing the child’s name, Taylor makes the “t” sound and then prints the letter. With prompting and support, identifies characters and major events in a story. Provides details about the characters and actions after listening to a story. With prompting and support, identifies events and details in the story and makes predictions. Predicts what happens next in a story. With modeling and support, retells or reenacts a story in sequence with pictures or props. Uses felt board to retell story of The Hungry Caterpillar. Uses a variety of writing tools, materials, and surfaces to create drawings or symbols. Draws or writes using pencils, letter stamps, markers, crayons, paint, and/or shaving cream on paper, cardboard, chalkboard, and/or dry erase board. Counts out loud to 10. Sings counting songs. Identifies numerals one to 10. Names some numerals while child is reading a book. Demonstrates an understanding that taking away decreases the number of objects in a group. Participates in stories and rhymes involving subtraction; e.g., Five Little Monkeys. Recognizes patterns in the real world. Follows and remembers movements in familiar songs and rhymes. Creates simple patterns. Builds a road alternating long and short unit blocks. Sorts and classifies objects by one or more attributes (e.g., size, color, shape, texture, use). Picks all the books about bugs out of the library. Identifies attributes of objects, living things, and natural events in the environment. Notices bean seeds planted in clear bags have sprouted into plants with roots and a stem. Moves in the sunlight and realizes that her own shadow moves when she moves. Makes predictions and checks them through hands-on investigation with adult support. Predicts that the rock will sink when placed in water. Adjusts the experiment if results are different than expected and continues testing. Continues to mix different colors of paint to try to make purple. Identifies cause and effect relationships. Says, “It fell because I let go of the string” while using a pulley to hoist a bucket. Displays and interprets data. Places all floating materials on one tray and all sinking items on another tray during a sink/float activity. Identifies family members; e.g., mother, father, sister, brother, grandparents, cousins, etc. Draws a picture of her family. Identifies similarities and differences in their family composition and the families of others. Participates in a chart-making activity showing the number of siblings in each family. Describes some characteristics (e.g., clothing, food, jobs) of the people in their community.Talks about the firefighter they met at their neighborhood fire station. Shows an understanding of how to care for the environment. Picks up trash outside and puts paper in the recycling container. Describes the purpose of rules. Reminds a classmate to use “walking feet” while in the classroom so he won’t be hurt. Demonstrates an understanding of time in the context of daily experiences. Tells her mom that her friend was sick yesterday and not at school. Understands that events happened in the past and how these events relate to one’s self, family and community. Describes a family snow trip while reading The Snowy Day. Moves with control (e.g., walks, runs, skips, jumps, gallops, hops). Runs during a game of tag, slowing and accelerating as needed to maneuver around equipment and people. Moves with coordination. Kicks, throws and catches a ball. sponges, paint brushes, scissors, pencils, silverware). Tears paper into pieces to make a collage. Uses fine motor skills in daily living. Buttons, unbuttons, snaps, buckles, laces or ties shoe. In the next post I will share my tips for an Easy Transition to Kindergarten and later my Top 5 things needed for Kindergarten as well as great resources.